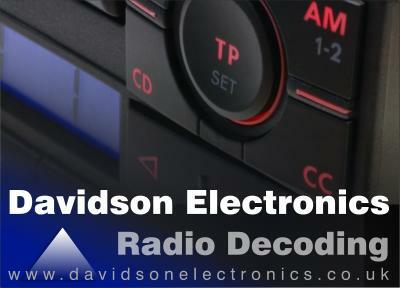 Here are a collection of techniques commonly used to enter codes into car radios. Click the START button to begin the demonstration sequence. If the radio has locked up, generally waiting about an hour with a Blaupunkt unit will be necessary before the unit will offer you another chance to enter the code. Early Ford and Philips radios can make you wait several hours and it's simply a case of leaving the radio on untouched for as long as it takes for the display to change, indicating that it's ready to take the code. This method is the most common one. The example below is used on many Blaupunkt models but many other makes and models are almost identical except that they use another button to finally "enter" the code. The following table lists some commonly used keys. Ford 2006 Some Ford 2006 radios show a car registration number or even a series of meaningless characters at switch on. If this is the case, press the SELECT button which will change the display to CODE - - - - and proceed to enter the code. Vauxhall CAR 100/ CAR 300/ CAR 400 Switch on ignition then switch on radio whilst holding down the AS button. A number indicating how many code tries you have left followed by 4 dashes should then be displayed (e.g.10 - - - -) Enter the code using keys 1-4 as per Method 1 above and finally press and hold the AS key to "enter" the code. Use the +/- keys to set the first digit of the code onto the screen and then press the "M" key to move to the next digit. Repeat the process until you have all 5 digits of the code on the screen and the press and hold the "M" key to finally enter the code. The radio should now operate. This often happens when a radio belonging to a car with a larger display (10 segment) is fitted to one typically with a small centre console display (8 segment). e.g. transferring the radio from a Vectra to a Corsa. The CAR300, CAR400 and CDR500 can support both display types but it needs to be told which display type to use. With the car ignition on, press and hold buttons 3 and 5 together and switch on the radio whereupon it will show either DISPLAY 8 or DISPLAY 10. Keep the buttons pressed until the radio beeps and the display will change from 8 to 10 or vice versa. Release the buttons, switch the radio off and then back on and hopefully the radio will now operate correctly with your display.